Say goodbye to email. Studies show that messaging platforms enable fast decision-making and greater inclusivity, leading companies to adopt these apps at breakneck speed. Every major company relies on communication to function and grow, and every new generation of technology drives past platforms into obsoletion. Remember when fax machines were cutting-edge? Today, the disruptive force in organisational communication is the messaging platform. Messaging started to dominate non-workplace dialogue over a decade ago, alongside the proliferation of smartphones. Usage of these apps has since exploded and is expected to reach 2.48 billion users by 2021. In the past few years, messaging-based platforms like Slack have brought similar technology to the workplace. With 77 per cent of employees owning smartphones, this rapid adaptation has made such apps a critical communication channel for fast-paced organisations, especially those working to achieve scale. 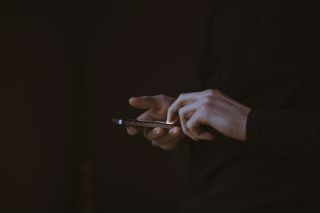 A report by Fierce Mobile IT found that 71 per cent of staff members spend at least two hours per week accessing company information on mobile, and this number is only rising. Several factors are driving the shift to mobile messaging over email and other forms of communication. Messaging naturally facilitates easier and faster collaboration between co-workers. Employees can communicate in ways similar to personal channels, reducing unnecessary formality and creating a comfortable experience. For teams with remote workers, this proves especially appealing. Rather than feeling disconnected from fellow employees, remote workers become part of the ongoing conversation and rarely miss out on critical communication opportunities. If an employee has a question and is unable to find the co-worker they seek, they can privately message the person and receive a fast reply, no matter their location. The co-worker’s phone will buzz and light up with the employee’s message, or a desktop notification will pop-up. Rather than wait hours or even days for a response, the alert ensures rapid communication. Unlike email, messaging elicits an instant response and saves time. This enables employees to make quick decisions, especially while communicating in a group. Features such as “at mentions” (i.e., @mentions) allow users to instantly grab the attention of an individual or team with an alert. Unlike email — which tends to be top-down — messaging allows for group feedback in the form of reactions, comments, or replies. Team members do not need to read through an entire past thread and can instead jump in to share input at any point. A wide range of emojis and customisation options allow organisations to bring a sense of playfulness and personality into the experience that other communication channels lack. The messaging app experience includes options for tagging content, in addition to powerful search capabilities so employees can quickly find relevant posts, documents, and media. Users can dig up the information they need in seconds. By applying the hashtag approach originated by social channels like Twitter, messaging apps offer ways to hashtag channels and topics for filtering content. Enterprise messaging platforms provide rich analytics that help executives identify the bottlenecks in communication, define a baseline, take actions, and measure the impact of the initiatives. This data helps leaders understand the effectiveness of productivity measures and demonstrate progress. Email platforms and other traditional communication channels are not able to produce these action-oriented insights. Employees are spending more time accessing business information and systems from their mobile devices. This has led to a ‘bring your own device’ (BYOD) movement, with 72 per cent of companies now allowing staff to use their own smartphone or tablet for work. While some worry about the security risks this introduces, the benefits tend to outweigh the concerns. Industries such as retail, hospitality, aviation, and logistics have a large workforce that does not operate from a desk. A large majority of these employees lack a corporate email address, leading to fragmented and broken communication within the enterprise. By allowing staff to use messaging apps on their mobile devices, companies are seeing major improvements in productivity and efficiency. The same idea applies to remote workers. A growing number of top companies, like InVision, are building fully-distributed teams. Employees work from anywhere, saving on the costs of office space. These teams rely on messaging apps to stay connected throughout the day and uphold agile workflows. As a result, tech companies such as InVision are scaling to $1B+ businesses without ever establishing physical headquarters. Research by Towers Watson has shown year-after-year that companies with highly-effective communication practices see 47 per cent higher total returns to shareholders compared with ineffective communication. Messaging-based communication encourages enterprises to become more agile, drives faster decision-making, increases inclusivity of desk-less and remote workers, and helps reach scale efficiently. These solutions are unlikely to fully replace existing systems, such as email, in the near future, but are instead viewed as a complementary channel that addresses the gaps of traditional communication platforms. A well-designed internal communication strategy enables employees to seamlessly move between the most appropriate channels based on context. Some conversations are still best held over the phone or in-person. However, the ability to quickly message a co-worker or group on-demand saves significant time in many cases and is likely to grow in popularity — paving a bright future for messaging platforms and the companies that use them.